At least in the conscience of Estonians, the perception of us being among the best examples of sticking to European Union's rules and principles has prevailed for quite a while. As again confirmed by the European Commission's fresh report published today. 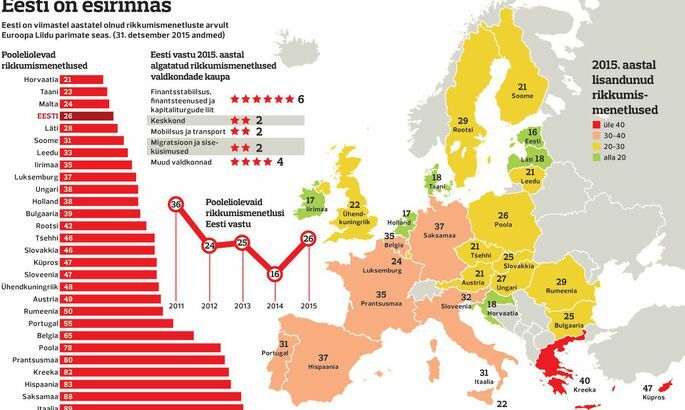 The latest of the commission’s annual report on how rules are being applied in member states confirms Estonia as the best example of all, for 2015. In all this, what best reveals the essence of the situation is number of infringement proceedings against member states. Regarding Estonia, 16 such were triggered last year. For comparison’s sake, Slovenia earned 32 and Cyprus 47. While for most, the number is below 30, none is better than or equal to Estonia. With all infringement proceedings underway included, as at end of 2015 we ranked fourth in EU with 26 proceedings. Topping the chart was Croatia with 21 proceedings while Germany and Italy placed last at 88 and 89 respectively. According to Government Office advisor Karin Mikk, the low level of proceedings reveals effectiveness of our state both with adoption of directives as well as explaining controversial issues to the European Commission. «Commenting shortcomings of other nations is difficult as every incident would require an analysis of causes to assess why timelines have been violated or controversy courted with essential issues. The reasons may be many, such as peculiarities of parliamentary cycles,» said Ms Mikk. But what would be the benefit of the exemplary results shown? According to Kristo Põllu of Governmental Office, the top spot has not been an aim as such. «Keeping the agreed law goes without saying and is vital. Differences are to be solved at talks before the laws are passed. As a bonus, the good showing adds trust to our voice in the European Union. And, in international relations, trustworthiness is the strongest currency of all,» explained Mr Põllu. On some occasions, delays with implementations may indeed be beneficial for member states and their entrepreneurs as the latest rules may be tougher. However, the joy is short-lived as all members end up having to adopt the rules anyway. Also, the diminished trust may lead to a weaker position in talks to come. 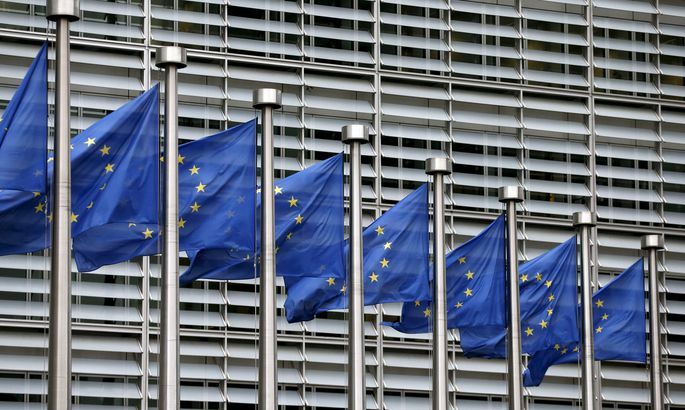 The Commission may start «infringement proceedings» if it considers that e.g. a Member State has not transposed an EU directive correctly or on time, or is applying single market rules incorrectly. Infringement proceedings only start when the Commission sends a «letter of formal notice» to the Member State in question.